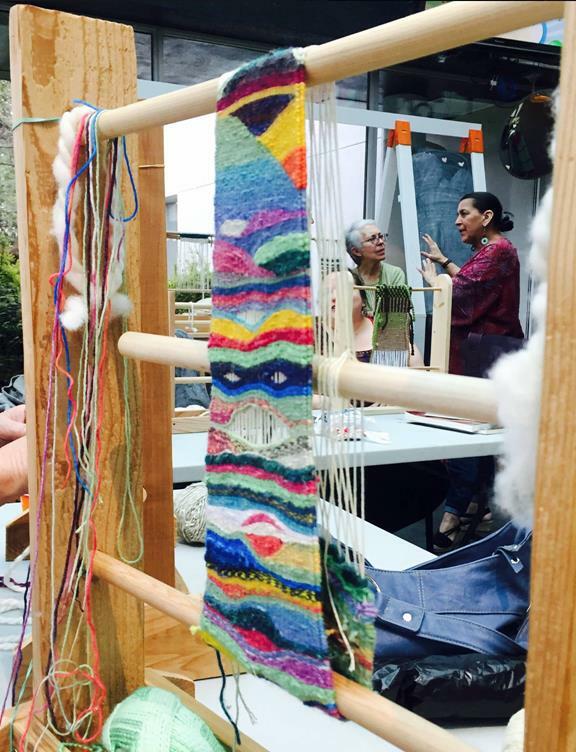 See and experience Musqueam weaving and hear about the ongoing Galleria exhibition Weaving Our Way (WOW) highlighting the value of intercultural exchange. Workshop participants will hear about the collaborative experiences of the Indigenous artist-mentor artist Debra Sparrow (Musqueam) and non-Indigenous project leader Dr. Keiko Honda (Vancouver Arts Colloquium Society). The session will begin with a short film screening about Debra Sparrow’s work to maintain Salish weaving and cultural practices. Debra and Keiko will discuss their processes and their year-long public art project, to provide some insights to support artistic creations through weaving and cross-cultural empathy. Debra will demonstrate Musqueam weaving and invite workshop participants to try their hand at it. The session concludes with another sort film, by VACs, about the process of community engagement that led to the Richmond Galleria exhibition, and conclude with complimentary refreshments and the option to take a short tour of the Galleria Weaving Our Way exhibition. Open August 28 – October 1, Weaving Our Way at Galleria includes the display of small individual weavings, their accompanying stories, and a collective collaborative blanket. The exhibition explores the theme of Musqueam weaving, artistry, story-telling, and community organizing, showcasing a multiplicity of heritage in the form of contemporary woven public art. Vancouver Arts Colloquium Society (VACS) supports artists and creative communities, in Vancouver and beyond, and builds cultural resilience in communities through art. To overcome inter-generational gaps and disconnections between Indigenous and non-Indigenous communities, VACS has developed the intercultural weaving project because we all have something to learn, to teach, to create, and to weave into a community.